Our custom built dental practice has been designed with your comfort in mind. Our staff are all friendly and professional. We are on the ground floor and have a spacious car park so there is easy access for everyone. All of our dentists are highly experienced and regularly undertake further training to ensure that we are always up to date with the latest techniques. A visit to the dentist can be nerve racking and so you can rest assured that all our staff are very gentle and caring to make things as comfortable as possible. We have spared no expense in equiping the dental practice and we have all of the latest technology to help us provide the best care possible for you. 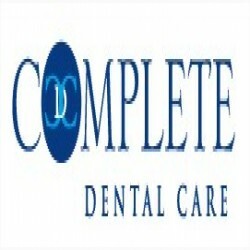 We use branded, high quality materials and instruments to look after your teeth. Also all of our staff regularly attend cpd course and dental events to ensure that we are using the best techniques. We can provide all aspects of cosmetic dentistry ranging from simple white fillings and tooth whitening to replacing your missing teeth with dental implants and straightening your teeth with invisible braces. We strongly believe that prevention is better than cure which is why we will do our best help you avoid any dental problems. Two of our nurses are childsmile registered and they will give you advice on how to best look after your child's teeth. Also we give free toothbrushes & toothpaste to young children and encourage regular brushing and healthy diets.